'Lets do it! 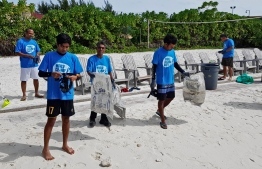 Maldives' has announced coastal cleanups in Maldives on the occasion of World Cleanup Day. In a press release, Let's do it! 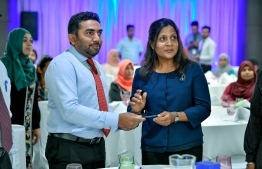 Maldives revealed that the main event will be hosted in Hithadhoo, Addu City, and invited all interested individuals to participate. The main cleanup is to be held at Kinbi Vau, near Hithadhoo Regional Hospital, from 6:30 a.m. to 9:30 a.m., on September 15. Let's do it! Maldives also urged everyone to organise cleanups in their own islands, and to share photographs of the event with Let's do it! Maldives on social media. The association revealed that a number resorts and communities from various islands have already confirmed to host cleanups around the country to mark the occasion. World Cleanup Day on September 15 is the biggest peaceful civic action in history, engaging 150 countries and bringing together millions of volunteers to clean up litter and mismanaged waste. According to the press release, the global event will see a wave of cleanups from New Zealand to Hawaii, while also raising awareness and implementing changes to achieve a #plasticfree and #zerowaste global community. Lets do it! Maldives is part of the global Lets do it! World, a movement to eradicate trash sites by mobilizing positive-minded and action-orientated people for a cleaner environment. Let's do it! 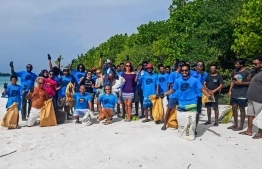 Maldives has been organising cleanups to create awareness and holding forums to bring together like-minded people, and have successfully formed a group of people working in the recycling industry and volunteers with the knowledge to tackle the waste problems faced across the country.